The Castle Leisure Centre opened at Elephant and Castle last year and I have been to the pool there many days this year. 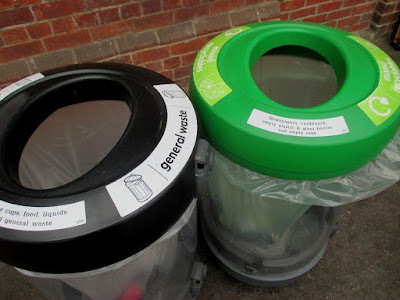 There are bins throughout the centre, with recycling ones next to general waste bins. I've been amazed over the months at the failure of people to sort their rubbish. Those people who bother to put empty shampoo or water bottles in the bin seem to do this randomly, about half go in the bin labelled plastics and half in the general waste bin adjacent. At Taunton station last week I saw the clearest attempt I have seen yet to help people simply sort their rubbish. Every waste bin has one recycling bin adjoining it, and clear directions are given on what to put where should you be in doubt. Look inside the bins though and you can see that people just don't care at all. 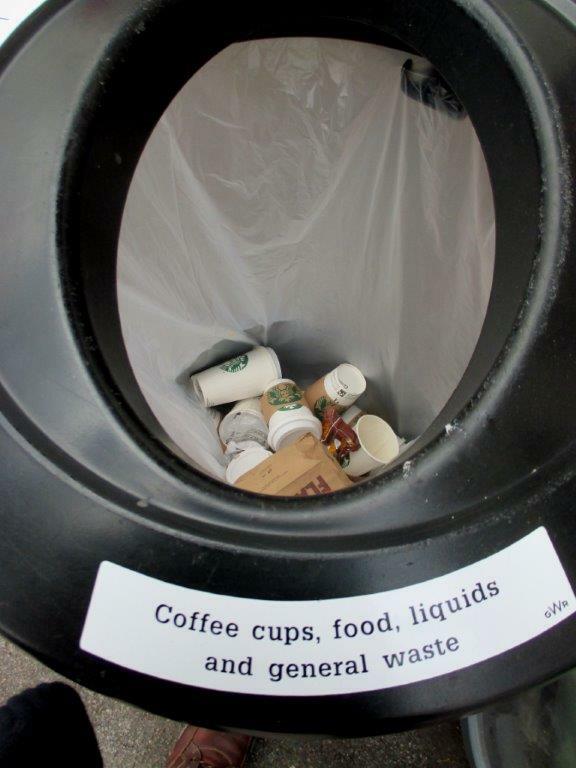 There is no appetite amongst consumers to take the tiniest step to sorting their rubbish. They just bung it in a random bin or drop it on the platform. I can't see any other option than to transfer legal responsibility to the manufacturers and retailers to resolve the waste problem their products create, and so what if it means they must pay people, either directly or via taxation, to sort the waste. The businesses will also need to pay for the cost of enforcement, with significant penalties for non-compliance. 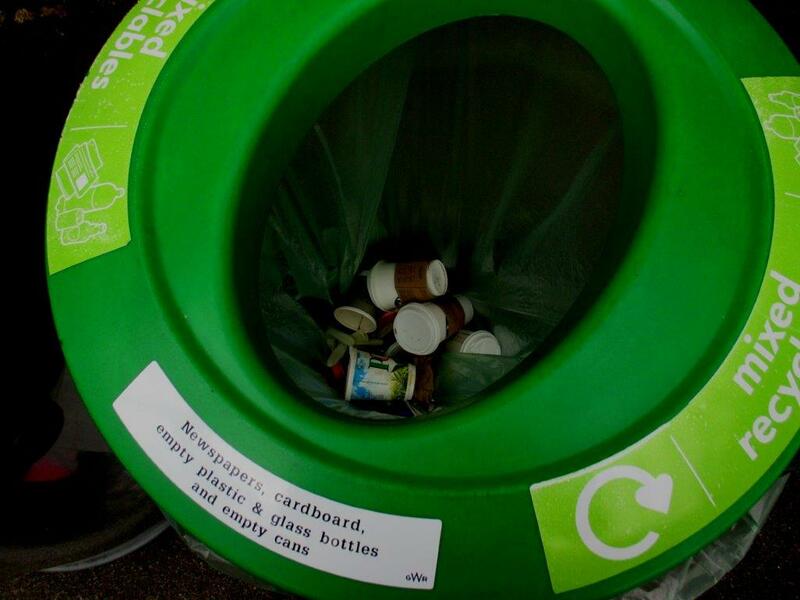 As you suggest, manufacturers have a big role to play - part of the confusion of non-recyclable in a recycling bin has to come down their processing and labeling. yep, except if it is coated like a coffee cup, but why should the consumer know that this cardboard isn't to be treated as cardboard? 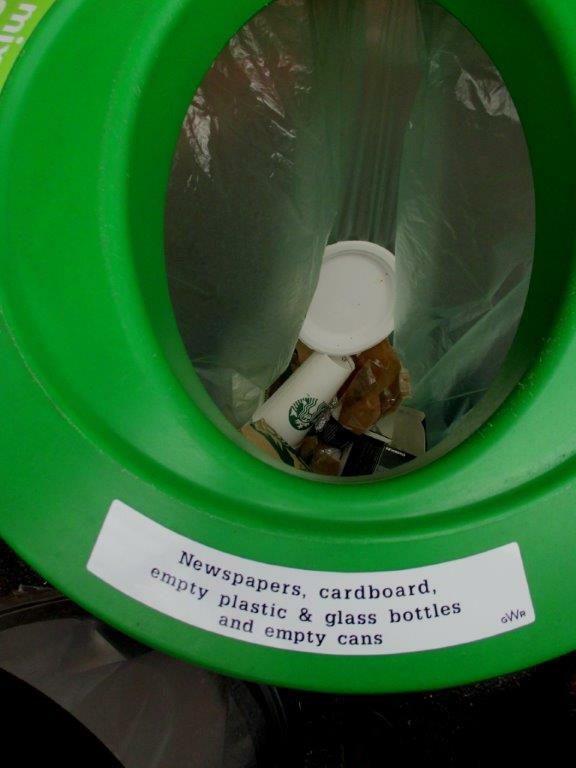 And the coffee cup's plastic lid has a recycling symbol on it, so surely mixed recycling for it too? Why is polystyrene marked with a recycling symbol (number 6) when it can't usually be recycled either? You have to stop your interest here and you will get the Indian escorts in Doha according to your like and we guarantee our Doha escorts will make you playful and give you best loosening up. Wherever all through the world young ladies come in Doha and do assorted business. Doha escorts The ask for of Indian Escorts in Doha and there are heaps of associations. I locked my bicycle with a chain and u lock at Castle Leisure Centre one morning under cctv. Came back to find it gone. Spoke to staff who outright lied by saying the cctv showed me picking up the bike. Reported it online to police who stated "your case has been deemed not suitable for further investigation". Yesterday I went to a shop nearby and saw my bike locked to the stand. I was amazed and went into the shop to see if the culprit was there. Someone passing suggested if the bike is mine I get some cutters and take the lock off. I saw police lights across the road, went over and explained. They came over to look and I noticed the lock was mine of which I had spare keys. The police judged that the bike had been there for a while and to get the keys and take it. Unfortunately I have had things taken, damaged and my privacy invaded but am lucky to be part of a supportive community. I am trying to work out whether those responsible are joyriding, hardened by life or just plain uncaring. I have worked in the area in care and one sees many sides of life. This is a reflection on what you are saying about civic duties and morals.